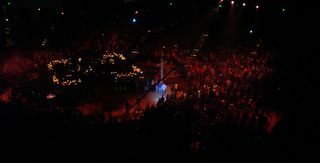 That evening the students came from their community groups in total silence and in about 20 minutes filled the arena (18,000 students ) in total silence! 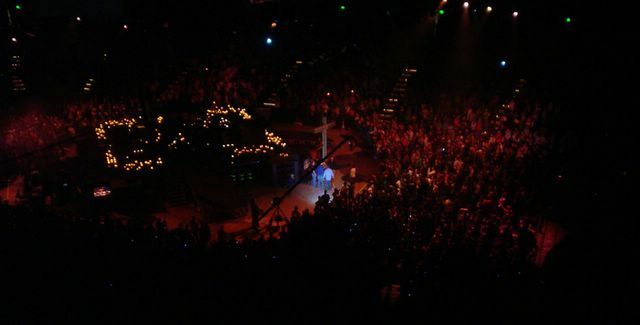 The evening was pretty much led by text on the screen only and at the end a cross was brought out and raised. It was very moving and the silence brought new meaning to each word that was spoken and sung.